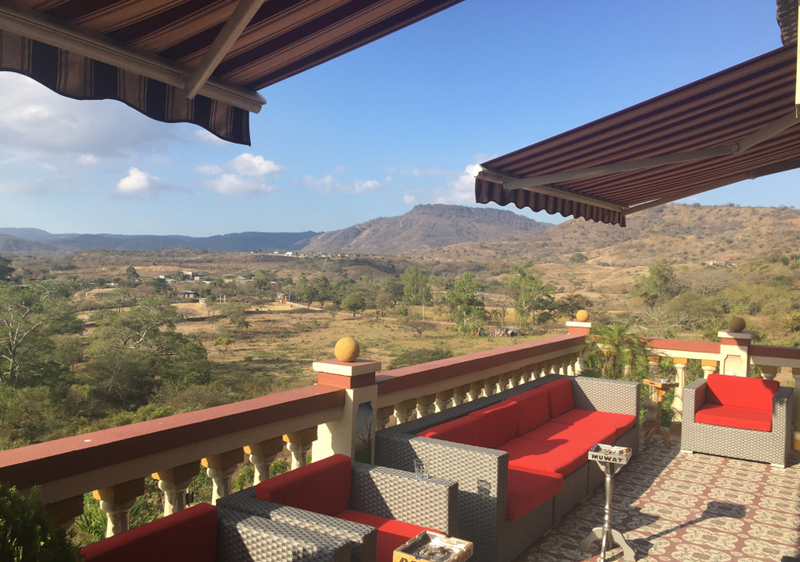 Our Cigar team recently traveled to Nicaragua for an unforgettable cigar experience with Drew Estates. Our trip started with true Nicaraguan food, which we finished with a Liga Pravada no.9. The roads in Nicaragua are buzzing with car horns, pedestrians and motorcycles. The Drew family shared Ligas, Naturals, Kuba kubas, and Undercrowns on the bumpy ride through mountainous terrains. Our first full day began with a guided tour through the Drew Estates facility 2. Our day began in the tobacco aging rooms. Filler tobaccos line the warehouse in massive bundles, and the warehouse seems to go on forever. 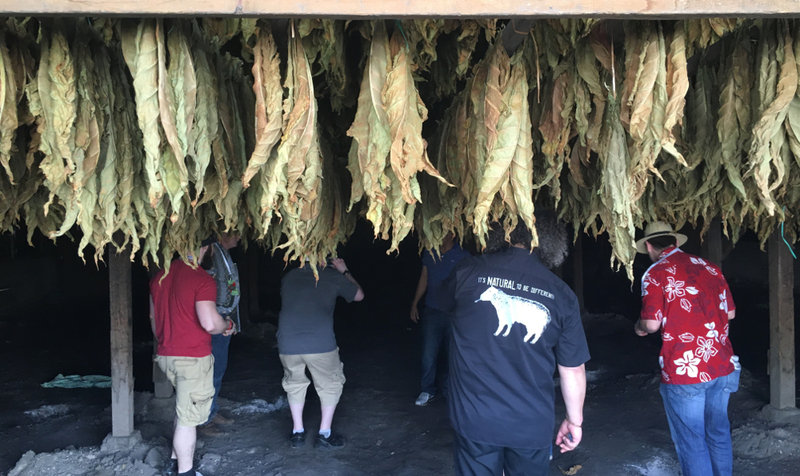 One highlight on the tour was the pilon aging room, where the tobacco ferments, releasing the natural oils and flavors that make each blend unique. These massive pilons ferment through heat and pressure. 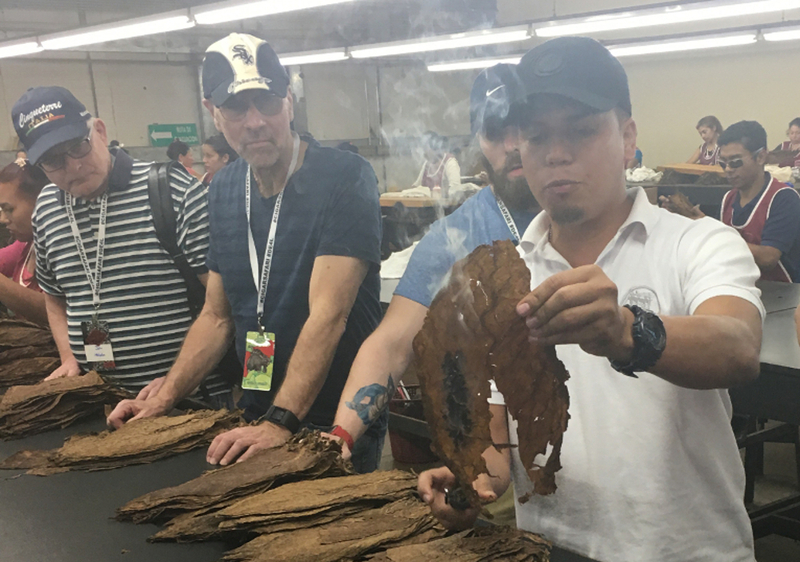 In the sorting room, we watched how the hands of tobacco are separated into the Seco, Viso, and Ligero. These three different types of tobacco burn differently and have different strength properties. Seco is the kindling of the cigar and is extremely combustible. Viso shows some strength and has good burning qualities. Ligero is not very combustible, but has the strength in flavor and power we look for in a full bodied cigar. 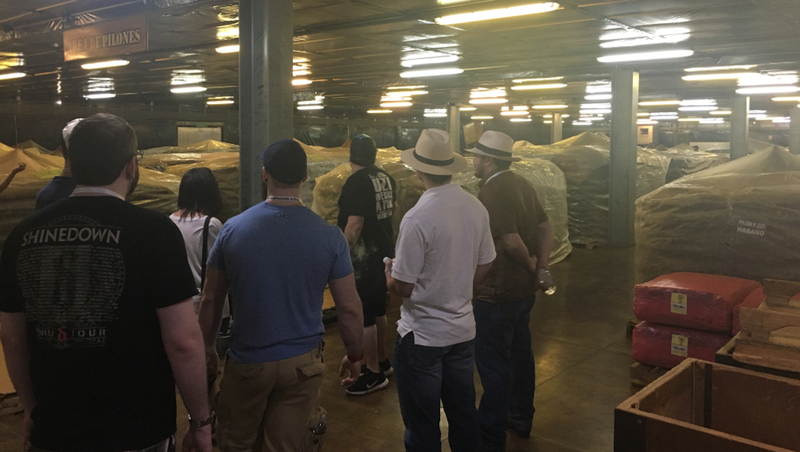 The sorting room separates these types to allow the rollers to make quality burning cigars. We spent the second half of the day back in Drew Estates facility 1. Here we had a great tour of the rolling floor which is filled with hundreds of rollers working in tandem to produce the finished product. The walls are filled with amazing murals detailing all of the Drew Estate brands thanks to Jesse Flores and his team of in-house artists. We had a chance to check out the cool room, where the most skilled rollers apply the Liga Pravada wrappers. We explored all while puffing away on the undercrown shade pigs without the wrapper. Later, we found ourselves in the tobacco bundle room where rollers get their materials from a couple of girls who act like bank tellers, giving each roller the tobacco they need to complete their proper blends. Next we stepped into the cold aging room. It felt like a library of fine cigars bundled up in newspaper waiting for the opportunity to grace a box. A stones throw from the cold room are the quality control desks where skilled workers judge which cigars matched, destined for the same box. This is a well lit area where hundreds of cigars lay on black tables being judged on slightly different tones. Once the best fit is decided, the cigars are banded and placed carefully into their respected packaging. 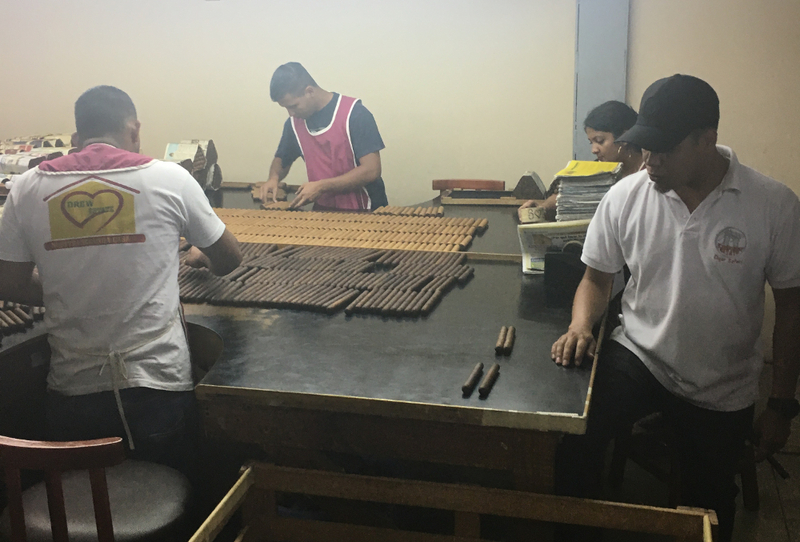 Each cigar type requires its own factory line to ensure the quality of each brand. Day 3 started with a ride on the Cigar Safari bus to the oldest factory in Nicaragua. We arrived at Joya de Nicaragua and were treated to a small history lesson on the factory and the company. Once we had fired up a fresh Joya black label, it was time to see a traditional factory in action. 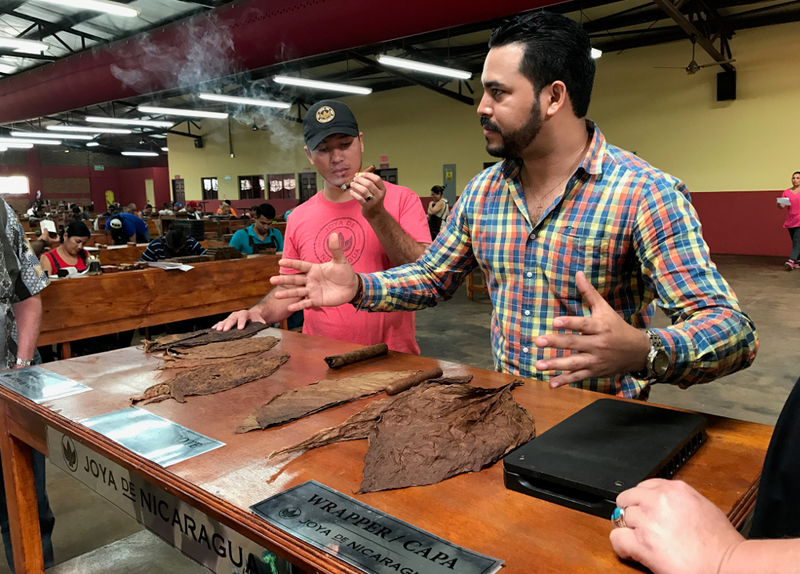 We all gathered around a small table to inspect the seco, viso, and ligero used by Joya in their traditional blend, once the official cigar of the White House. Throughout the tour in Joya, we could see that this is rolled history delivered right to us. The factory isnt making crazy infused cigars or 8x80s, but traditional sizes showing the range of Nicaraguan tobaccos. A big thank you to Joya de Nicaragua for the hospitality. 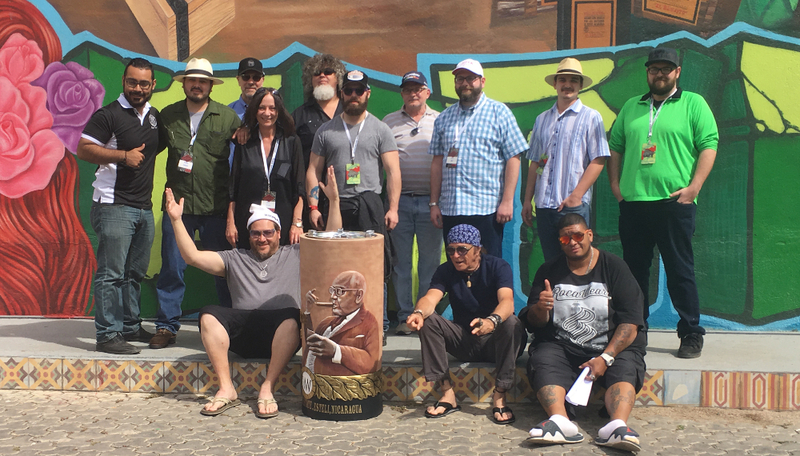 Back at Safari headquarters, we sat down to lunch and a round of Nortenos before embarking into Subculture Studios Drew Estate's creative and art studio led by Jesse Flores. The studio is full of artists individually screen printing the boxes. Through the screen printing studio, we were led to the private studio where some of Jesses best pupils design and work. The artists are painting and printing on anything from travel humidors to basketballs. This type of studio and authentic art is unique to the cigar world. Next, we visited the fields. 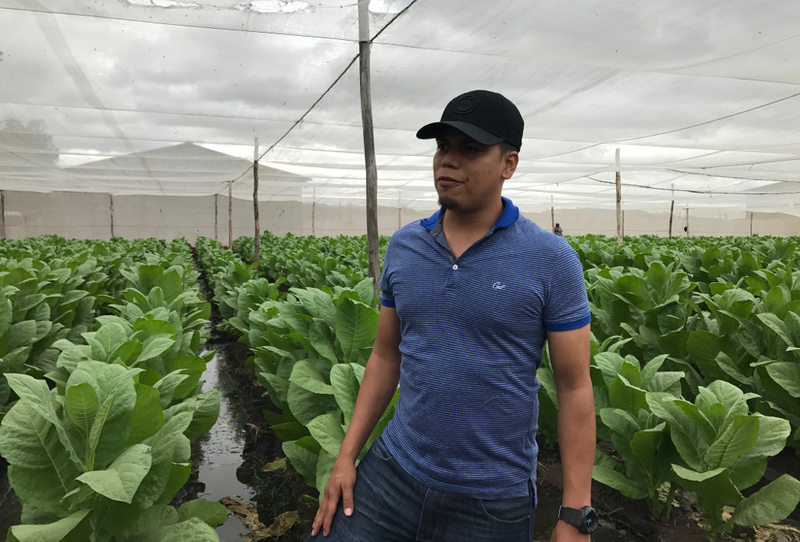 Large fields of tobacco span the Nicaraguan landscape, and we were lucky enough to spend sometime in a shade grown field. Henry explained everything from planting to harvesting. We then walked a few yards to the curing barns. These massive structures are the first stop for the tobacco leaves after they are picked. They are placed into bundles known as hands and arranged on a wooden post which are then placed in the rafters of the barns. Small coal fires at the ground level raise the temperature and the tobacco is dried and cured, trading its green hues for the aged brown look we all know. When ready, it is then transferred to be placed into a pilon. Our trip ended with the much anticipated longest ash contest. Everyone was allowed one light, and we began the game of balance and steadiness. The rules were simple: one hour and one T52 Corona Doble. We were all given three measurements and the right to use them as needed. If your ash falls, you're out with your final measurement being your standing. After the hour had passed we had a few ashy consultants and a few happy winners. Our trip was filled with great conversation, food, sights and of course, fantastic cigars. Our Binnys team is super grateful to the Drew Estates Family and Jesse for a great experience.